Chief executive officers have their stump speeches, but given the opportunity to be heard, John Prado may opt for a lesson that encompasses history and political economy. Bolivia, the land-locked South American country of his birth and return, is blessed with natural resources that have not been used to full advantage. For far too long, Prado laments, abundant mineral and natural gas reserves have been exported in raw form, sometimes to be returned as value-added imports in the form of plastics, fertilizers, tires and whatever else might enhance some other country’s trade surplus. If Bolivia’s economy is to evolve in a manner beneficial to all rungs of society, that kind of refining and manufacturing must be done on the home front. The government of Evo Morales seems committed to that kind of progress, Prado says, but still needs a strategic and long-term partner that can provide the very complex technological means. 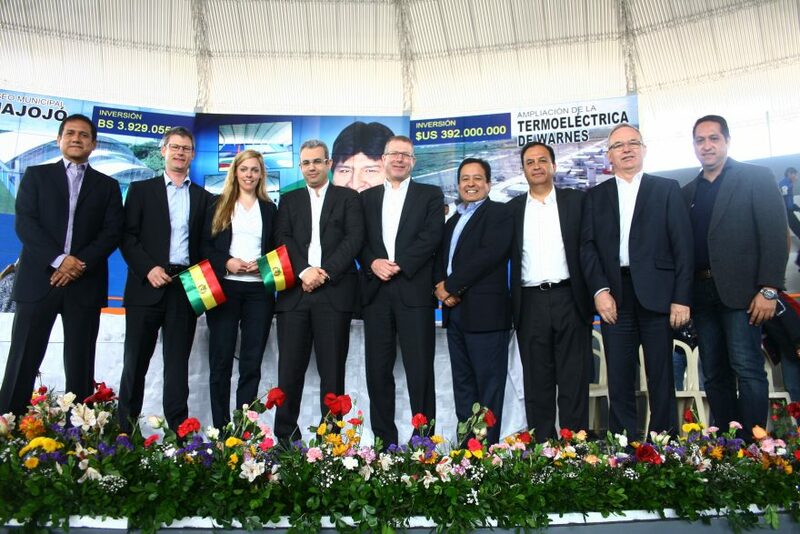 That’s where Siemens Bolivia, the South American subsidiary of the German-based international industrial manufacturing heavyweight Siemens AG, continues to step up. 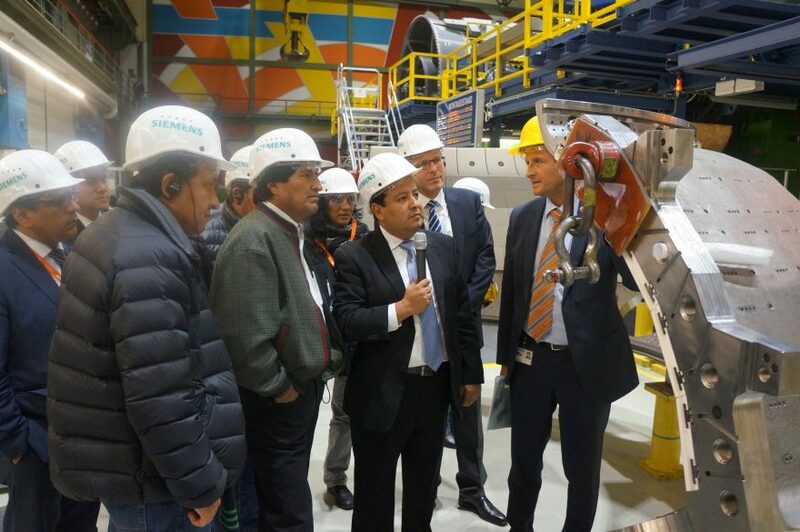 “The strategy is to industrialize our natural resources,” says the affable and multilingual Prado, who has long served Siemens in a series of executive positions, scoring a promotion to CEO and general manager of Siemens Bolivia in November 2014. That sustainability, he adds, extends into the environmental and social fronts—areas where Bolivia has historically fallen short in its quest to modernize. And Bolivia’s needs? For starters, Prado lists electrification, automatization and digitalization, all of which fall under Siemens’ specialties. The company signed a contract in 2016 that included a commitment to supply gas-turbine combined cycle equipment for a substantial expansion of three thermal power plants owned by Ende Andina, the state-owned utility. 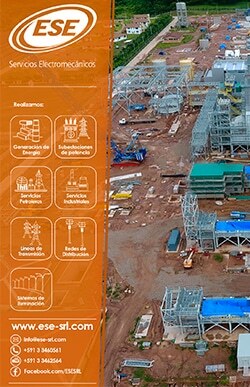 To fuel these plants, Siemens will also support the state-owned oil and gas company YPFB with the expansion of its industrialization capabilities, yet Prado says the company is also on board with Bolivia’s diversification into renewable energies such as wind and solar power. Two years ago, the parent company created the subsidiary of Siemens Gamesa Renewable Energy following its merger with the Spanish-based wind-turbine maker Gamesa Corporacion Tecnologica, and Prado says the benefits are certain to be realized in Bolivia as well as other parts of South America. And while there are certain to be issues over how the government should spend energy revenues, Prado says Siemens is bent on ensuring that those revenues will be there for national leaders to debate their best use. The economic outlook for Bolivia is encouraging, especially when compared to that of other Latin American countries such as Venezuela and Brazil, that are enduring strife rather than enjoying stability. 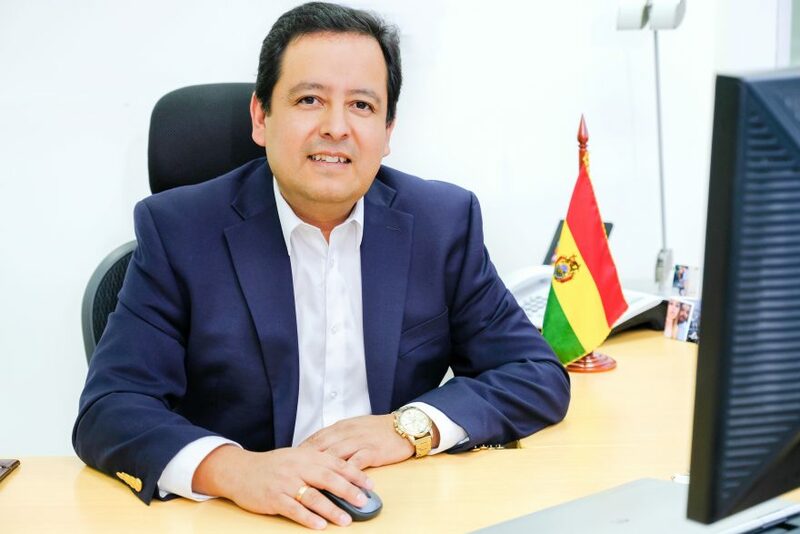 This past February, FocusEconomics—a provider of global economic analyses—saw Bolivia’s gross national product expanding by 3.8 percent in both 2018 and 2019, with fixed investment and public infrastructure factors in the growth. FocusEconomics did note weaknesses in the energy sector, but Prado reminds that’s among the areas where Siemens is going full throttle. And not just in Bolivia. 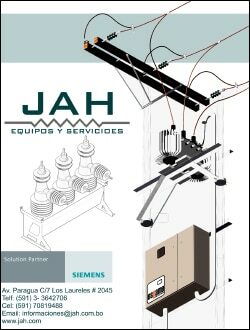 Siemens being a worldwide operation, its Bolivian subsidiary has grown into a South American hub that’s also active in parts of the Caribbean. For Prado, who left Bolivia for the United States at the age of 2 with his parents, the opportunities keep expanding for him to make an impact, not just in his native land, but the entire hemisphere. Glad as he is to be back home, Prado’s time in the United States was well-spent with him graduating the University of California at Davis in 1991 with credentials in electrical, electronical and communications engineering. He put that expertise to good use at Westinghouse Electric Corp, whose power-generating capacity Siemens would acquire in 1997. Prado also worked five years as a sales director for Mitsubishi’s North and South American divisions, prior to coming to Siemens as a business integration director in 2007, the first of several roles he would serve in before climbing to the top of the ladder seven years later. Now 50 and the proud father of three ambitious children—two in college and one in high school—Prado lives in the eastern city of Santa Cruz de la Sierra with his wife of 27 years. He believes he’s in the prime of his working life, old enough to have garnered the many experiences that make for an effective boss, but young enough to believe the most exciting phases of his career are yet to come. It’s all the more fulfilling, Prado says, that his company’s mission is so intertwined with a national interest.